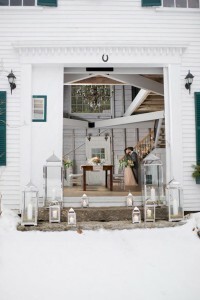 Hardy Farm in Fryeburg, Maine, is one of our favorite barns in Maine and it’s not hard to see why. 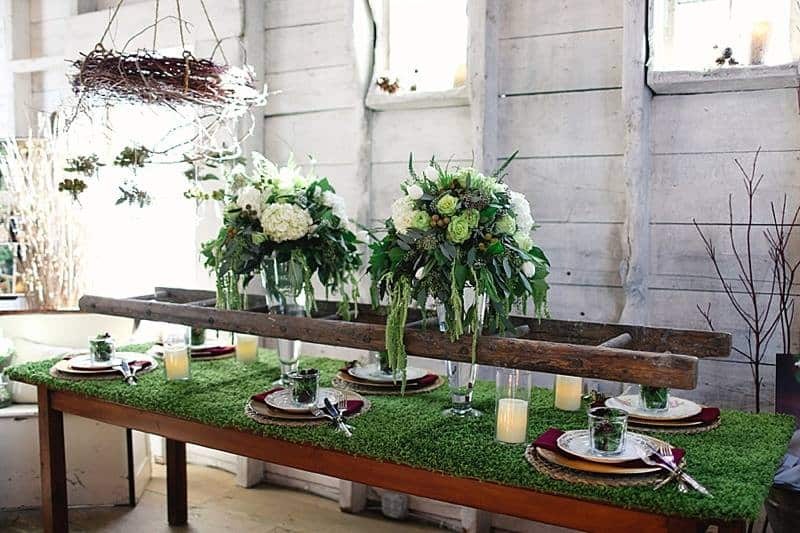 Rich in history and character, the farm offers a one-of-a-kind experience for your wedding day or other special event. 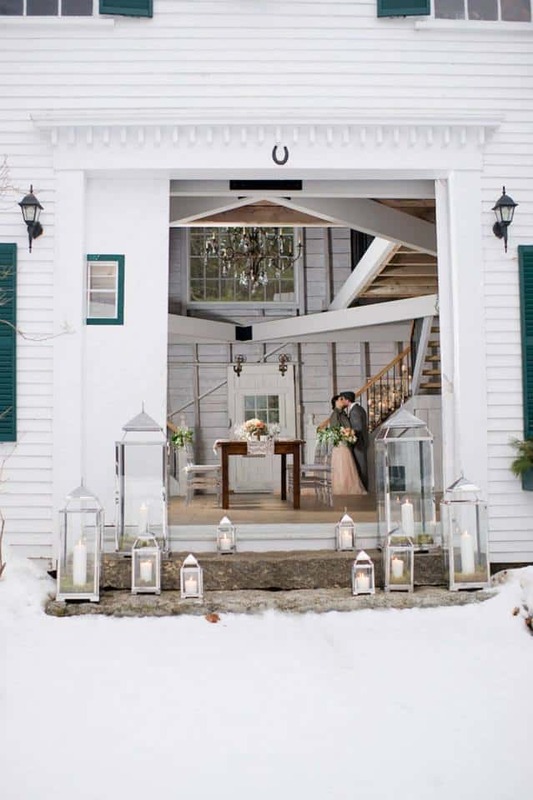 Hardy Farm is known for its rustic elegance and has been featured in Maine Magazine, Martha Stewart, Rustic Weddings, Country Living and Love & Lobster. Hardy Farm truly has every amenity imaginable for a wedding venue. There’s a farmhouse on the property and a lodge just down the road, sleeping up to 32 guests combined and featuring modern updates among time-honored New England architecture. A short walk into the woods brings you to a beautiful ceremony site with wooden benches and a perfect arbor to be married under. Back toward the barn is an open area that perfectly holds a tent if you’d prefer to have your cocktail hour or dinner outside. 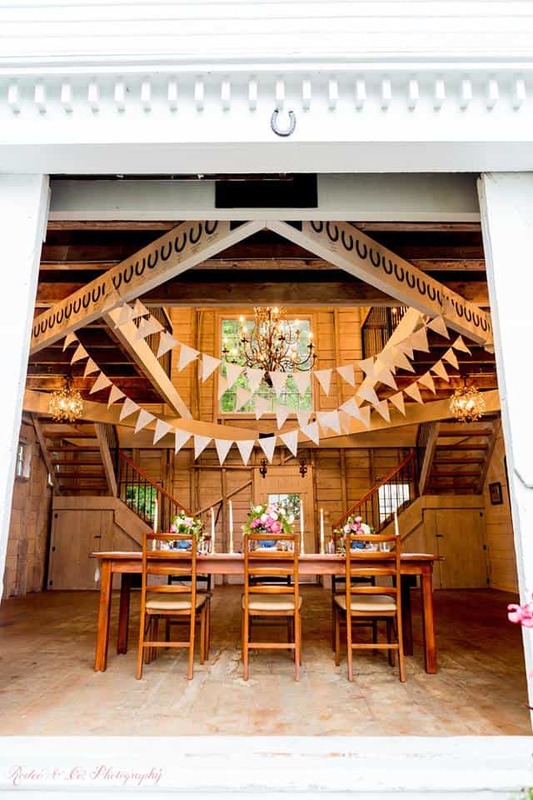 Beyond that is the gorgeous barn, which was built in 1835 and features the original barn doors along with beautiful chandeliers and natural light through its large windows. Two impressive staircases lead to a charming entresol where you can perch your bar or extra seating for guests. Fryeburg is part of the Mount Washington Valley, which spans over 25 towns in Maine and New Hampshire and includes many fun, New England attractions for your guests. 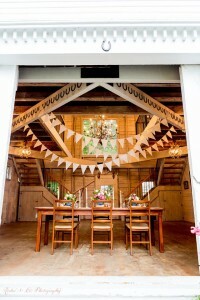 Check out Hardy Farm’s website at www.hardyfarm.com where you can see beautiful albums of weddings past and even view the farm’s availability on their booking calendar!